BURSTING from the start line! Runners at the Feaster Five in Andover, MA. 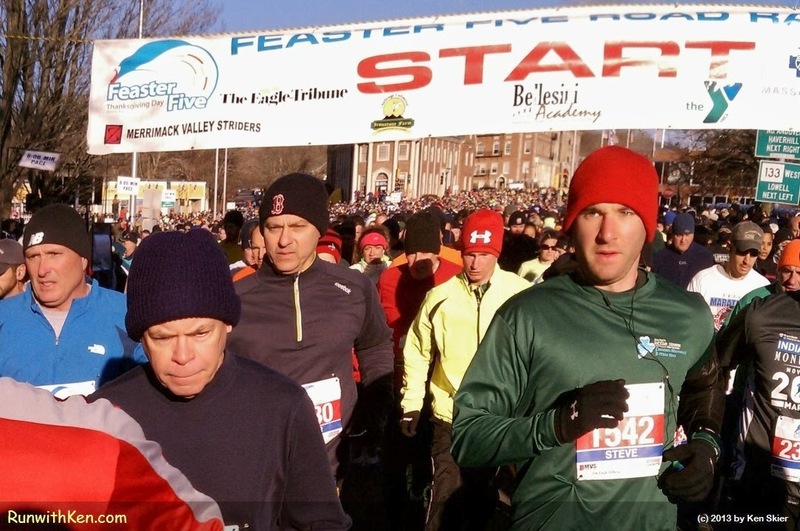 11,000 runners burst from the starting line at the Feaster Five 5-mile and 5K road race.